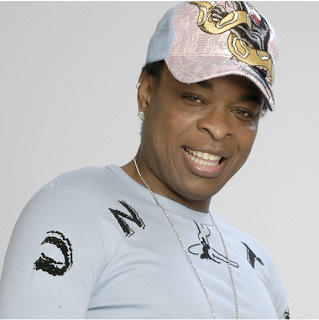 Pembroke Pines, December 17, 2009 – The talented Haitian drummer, producer, singer and composer, Jean-Hérard “Richie” Richard, is set to release his new solo album, Richie: 10 Ans Plus Tard, on December 22, 2009. Richie: 10 Ans Plus Tard is the eighth release from his very own production company, Rich’Art Entertainment. With this release, Richie will become the only Haitian producer to break such a record in the past ten years. On this album, he has forged new ground with his hit new single, "Cap-Haitien, je t’aime." Distributed by Mini Records and AD Music, Richie: 10 Ans Plus Tard also features an array of collaborations with respectful and well-known Haitian recording artists such as Isnard Douby, Dadou Pasquet, Tantan, Jude Jean, Loubert Chancy, Pipo and Dener Seide, just to name a few. “I believe that this album is the ideal Christmas gift” said Richie. With 10 songs including ‘10 Ans Plus Tard,’ ‘Don’t let go,’ ‘Nanou,’ ‘Cap-Haitien, je t’aime,’ this album is promised to be the album of 2010. Two Listening Parties are in the works for the official launching of the album. The first is scheduled in Miami, Tuesday, December 22, 2009 from 6PM to 8PM at Moca Café located at 738 Northeast 125th Street North Miami, FL 33161 and the second party will take place in Haiti on Wednesday, December 23, 2009 from 5PM to 7PM at Karibe Hotel in Pétion-Ville. These events are exclusively for all media, DJs, promoters, producers, music store owners and personalities of the Haitian Music Industry. To RSVP for the Miami release, call 754-204-3464 or email thelar_a@yahoo.fr. To RSVP for the Haiti release, please call Dr. Junot Felix at 34-43-3266. Richie has always felt that he was born with two drumsticks in his hands. The first time he sat behind a drum set was during his first year in elementary school in Cap-Haitian (Haiti). It was there where he was appointed to lead his music class. In 9th grade, he formed his first musical group, Power X. In 1990, he and his new band, Fashion recorded 3 jingles for a radio station in his hometown Cap-Haitian. These jingles are still heard today on Radio 4VKB. After moving to the United States, he studied Music Technology at Broward Community College (BCC). After a short experience with American and Jamaican bands, he decided to play Compas and formed in 1992 his own band Tah-Pajj with Arly Larivière, Gazzman Couleur, Ernst Benjamin, Nixon Mézidor and Raphaël Robillard and released the album entitled "Bozo". In 1999, he became officially a new member of Zenglen. Since the success of "Easy Compas," the first single written for Zenglen, he has been appointed to direct and produce the band’s upcoming albums: “Easy Konpa,” “Let it groove,” “Do it right,” “5 Etwal” and “5e Vitès”. Meanwhile, he has been producing his own projects “Le Compas: Happy Fifty” and “Richie & Gracia”. With Richie: 10 Ans Plus Tard, this talented and popular producer and musician is celebrating his 10th anniversary of experience and success with his band mates and his fans.